The Pipils or Cuzcatlecs are an indigenous people who live in western El Salvador, which they called Cuzcatlan. Their language is called Nahuat or Pipil, related to the Toltec people of the Nahuatl Nation. Evidence from archeology and ethnohistory also supports the southward diffusion thesis, especially that speakers of early Nahuatl languages migrated from northern Mexican deserts into central Mexico in several waves. However, in general, their mythology is more closely related to the mythology of the Maya peoples who are their near neighbors and by oral tradition said to have been adopted by Ch'orti' and Poqomam Mayan people during the Pipil exodus in the 9th century CE, led by Topiltzin Quetzalcoatl. The name Pipil is the most commonly encountered term in the anthropological and linguistic literature. This exonym is from the closely related Nahuatl word -pil "son, boy". Archaeologist William Fowler notes that pipil can be translated as "noble" and surmises that the invading Spanish and their Auxiliary Indians used the name as a reference to the population's princely caste, which owned all land and directed and composed the standing army. In this reading, the name "Pipil" only later became associated with the people as a whole. Common Salvadoran popular belief, however, is that the term pipil translates properly as "childish" and was inspired by the simple form of Nahuatl spoken by the people living at such distance from the core civilization in Mexico. The Pipil speak the endangered Uto-Aztecan language Nawat, also known as Pipil in English, and as náhuat in Spanish. (The older form nahuate is no longer current). Nahuatl -pil is cognate with Nawat pi:pil "boy". The autonym in the Nawat language is simply Nawat which is related to the Classical Nahuatl word nauatl. For most authors the term Pipil (Nawat) is used to refer to the language in only Central America (i.e. excluding Mexico). However, the term (along with the synonymous Eastern Nahuatl) has also been used to refer to Nahuatl language varieties in the southern Veracruz, Tabasco, and Chiapas that like Pipil have reduced the earlier /tl/ sound to a /t/. The varieties in these three areas do share greater similarities with Nawat than the other Nahuatl varieties do (suggesting a closer connection); however, Campbell (1985) considers Nawat distinct enough to be considered a language separate from the Nahuatl complex, thus rejecting an Eastern Nahuatl subgrouping that includes Nawat. Finally, for other authors the term Aztec is used to refer to all closely languages in this region as a single language, not distinguishing Nawat from Nahuatl (and sometimes not even separating out Pochutec). The classification of Nahuan that Campbell argues for (1985, 1997) has been superseded by newer and more detailed classifications. And currently the widely accepted classifications by Lastra de Suarez (1986) and Canger (1988), see Pipil as a Nahuan dialect of the eastern periphery. Today Nawat is seldom used except in some rural areas and mostly as phrases sustained in households in Sonsonate and Ahuachapán departments. Cuisnahuat and Santo Domingo de Guzmán have the highest concentration of speakers. Campbell's 1985 estimate (fieldwork 1970-1976) was 200 remaining speakers although as many as 2000 speakers have been recorded in official Mexican reports. Gordon (2005) reports only 20 speakers (from 1987). The exact number of speakers is difficult to determine because native speakers do not wish to be identified due to historic government repression of aboriginal Salvadoreños, such as La Matanza ("The Massacre") of 1932. A cohesive group sharing a central Mexican culture migrated to the southern Guatemalan piedmont during the Late Classic. They settled around the town of Santa Lucía Cotzumalguapa, erecting Monument 4 at around the division between the Late and Terminal Classic. The culture lasted until the Spanish conquest, at which time they still maintained their Nawat language, despite being surrounded by Maya. The region was rich in natural resources, particularly cacao and fruit. The Pipil introduced the cults of Xipe Totec, Tlaloc, Quetzalcoatl, Huehueteotl, Ehecatl, and Tlalchitonatiuh. Their architecture is death-obsessed; as in their central Mexican homeland, their religion demanded human sacrifice. The Pipil calendar was also expressed in central Mexican terms. A third group, designated as the Izalco Pipil, are believed to have migrated into the region late in the 10th century, occupying lands west of the Lempa River during the 11th century. Legend and archaeological research suggest these migrants were refugees from conflict within the Toltec empire to the north. The Pipil organized a nation known as Cuzcatlan, with at least two centralized city/states that may have been subdivided into smaller principalities. . The Pipil were also competent workers in cotton textiles, and developed a wide ranging trade network for woven goods as well as agricultural products. Their cultivation of cacao, centred in the Izalcos area and involving a vast and sophisticated irrigation system, was especially lucrative and Pipil trade in cacao reached as far north as Teotihuacan. The Cuzcatlecos, who became the dominant power in the region that is today El Salvador, had their capital in Cuzcatlan (now the town of Antiguo Cuscatlán in greater San Salvador). The Izalcos, who were very wealthy due to their great cocoa production. The Nonualcos, of the central region, who were renowned for their love of war. The Mazuahas, who were dedicated to raising the White Tailed Deer. Although they were primarily an agricultural people, some Pipil urban centers developed into present-day cities, such as Sonsonate and Ahuachapán. The dominant Pipil cities of Cuzcatlan and Tecpan Izalco in El Salvador were founded in approximately A.D. 1050. The ruins of Cihuatán, those in Aguilares, and those close to the Guazapa volcano are considered among the most notable remains of Pipil civilization. Pipil may refer to a branch of the pre-Columbian Toltec civilization, which flourished in Central Mexico around the close of the 1st millennium AD. The Toltec capital, Tula, also known as Tollan and located in the present-day state of Hidalgo is the most significant archaeological site associated with the Toltec. The apogee of Tula's reach post-dates that of the great city of Teotihuacán, which lies further to the southeast and quite close to the modern Mexico City. Tradition, mythology and archaeology strongly suggest these people arrived in El Salvador around the year A.D. 1000 as a result of the collapse of the Tala. The Tala, apparently a Toltec subgroup or family line, gained power or influence in the Toltec civilization at the fall of Teotihuacan. This group was ultimately defeated in a bloody civil war over succession to the throne of the Toltec capital Tula. The defeated group had little choice but to leave Mexico and emigrate to Central America. Tula fell a short time later, circa A.D. 1170, while under the reign of Huemac-Quetzalcoatl. In the early 16th century, the Spanish conquistadores ventured into Central America from Mexico, then known as the Spanish colony of New Spain. After subduing the highland Mayan city-states through battle and cooptation, the Spanish sought to extend their dominion to the lower Atlantic region of the Pipiles, then dominated by the powerful city-state of Cuscatlán. Pedro de Alvarado, a lieutenant of Hernán Cortés, led the first Spanish invasion in June 1524. He was accompanied by thousands of Mayan allies, who had long been rivals of Cuscatlán for control over their wealthy cacao-producing region. The Pipil armies met the Spanish forces in two major open battles, but were massacred by the Spaniards' superior weaponry and diseases. (Legend has it that a Pipil Cacique or King named Atlacatl and his son Prince Atonal led the Pipil forces against first contact with the Spanish, most famous battle being Battle of Acajutla. The surviving Pipil forces retreated into the mountains, where they sustained a guerrilla war against the Spanish who had proceeded to occupy the city of Cuscatlán. Unable to defeat this resistance, and as Alvarado was nursing a painful leg wound from a Pipil arrow in the first battle by Prince Atonal, the Spanish forces returned after a few months to the Mayan cities in the highlands of Guatemala. Two subsequent Spanish expeditions were required to achieve the complete defeat of Cuscatlán: one in 1525 and another in 1528. After the Spanish victory, the Pipils became vassals of the Spanish Crown and were no longer called Pipiles by the Spanish but simply indios or Indians. The term Pipil has therefore remained associated, in local Salvadoran rhetoric, with the pre-conquest indigenous culture. Today it is used by scholars to distinguish the Nahua population in El Salvador from other Nahuat-speaking groups (such as in Nicaragua). However, neither the self-identified indigenous population nor its political movement, which has resurged over recent decades, uses the term "pipil" to describe themselves, but instead uses the term "Nahuat" or simply "indigena". The Pipil have had a strong influence on the current culture of El Salvador, with a large portion of the population claiming ancestry from this and other indigenous groups. Some eighty-six percent of today's Salvadorans are mestizos (people of mixed native and European descent), with ten percent of unmixed European ancestry. A small percentage (estimated by the government at 1%, by UNESCO at 2%, and by scholars at between 2 and 4%) is of pure or mostly pure indigenous ancestry, although numbers are disputed for political reasons. A few Pipil still speak Nawat and follow traditional ways of life. The traditional groups live mainly in the southwestern highlands near the Guatemalan border, but numerous self-identified indigenous populations live in other areas, such as the Nonualcos south of the capital. According to a special report which appeared in El Diario de Hoy in 2009, due to the current preservation and revitalization efforts of various non-profit organizations in conjunction with several universities, combined with a post-civil war resurgence of Pipil identity in the country of El Salvador, the current number of Nawat speakers has risen from 200 in the 1980s to 3,000 speakers at the time of this report's writing, the vast majority being young people, giving the language hope of being pulled from the brink of extinction. ↑ Culture and Customs of El Salvador. Bierhorst, John. The Mythology of Mexico and Central America. William Morrow, New York, 1990. ISBN 0-688-11280-3. Campbell, Lyle. (1978). Middle American languages. In L. Campbell & M. Mithun (Eds. ), The languages of native America: Historical and comparative assessment (pp. 902–1000). Austin: University of Texas Press. Fowler, William R. (1983). La distribución prehistórica e histórica de los pipiles. Mesoamérica, 6, 348-372.
de Fuentes y Guzmán, Francisco Antonio. (1932–1933 ). Recordación Florida: Discurso historial y demostración natural, material, militar y política del Reyno de Guatemala. J. A. Villacorta, R. A. Salazar, & S. Aguilar (Eds.). Biblioteca "Goathemala" (Vols. 6-8). Guatemala: Sociedad de Geografía e Historia. Gordon, Raymond G., Jr. (Ed.). (2005). Ethnologue: Languages of the world (15th ed.). Dallas, Texas: SIL International. ISBN 1-55671-159-X. (Online version: www.ethnologue.com). Jiménez Moreno, Wigberto. (1959). Síntesis de la historia pretoleca de Mesoamérica. Esplendor del México antiguo (Vol. 2, pp. 1019–1108). Mexico. Jiménez Moreno, Wigberto. (1966). Mesoamerica before the Tolteca. In J. Paddock (Ed. ), Ancient Oaxaca (pp. 4–82). Stanford: Stanford University Press. Squier, Ephraim George (1858). The States of Central America: Their Geography, Topography, Climate, Population, Resources, Productions, Commerce, Political Organization, Aborigines, etc., etc., Comprising Chapters on Honduras, San Salvador, Nicaragua, Costa Rica, Guatemala, Belize, the Bay Islands, the Mosquito Shore, and the Honduras Inter-Oceanic Railway (Revised and expanded edn. ed.). New York: Harper & Brothers. OCLC 13436697. Thompson, J. Eric S. (1948). An archaeological reconnaissance in the Cotzumalhuapa region, Escuintla, Guatemala. Carnegie Institution of Washington, Contributions of American anthropology and history (44). Cambridge, Massachusetts. Tilley, Virginia. (2005). Seeing Indians: A Study of Race, Nation and Power in El Salvador. University of New Mexico Press. de Torquemada, Fray Juan. (1969 ). Monarquía Indiana. Biblioteca Porrúa (Vols. 41-43). Mexico: Porrúa, S.A.
Batres, Carlos A. (2009). "Tracing the "Enigmatic" Late Postclassic Nahua-Pipil (A.D. 1200-1500): Archaeological Study of Guatemalan South Pacific Coast". Carbondale, Illinois, USA: Southern Illinois University Carbondale. Retrieved 2011-10-02. Fowler, William R. Jr. (Winter 1985). "Ethnohistoric Sources on the Pipil-Nicarao of Central America: A Critical Analysis". Ethnohistory. Duke University Press. 32 (1): 37–62. ISSN 0014-1801. JSTOR 482092. OCLC 478130795. Polo Sifontes, Francis (1981). Francis Polo Sifontes and Celso A. Lara Figueroa, ed. "Título de Alotenango, 1565: Clave para ubicar geograficamente la antigua Itzcuintepec pipil". Antropología e Historia de Guatemala (in Spanish). 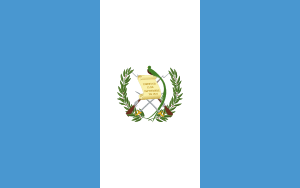 Guatemala City, Guatemala: Dirección General de Antropología e Historia de Guatemala, Ministerio de Educación. 3, II Epoca: 109–129. OCLC 605015816. Van Akkeren, Ruud (2005). "Conociendo a los Pipiles de la Costa del Pacífico de Guatemala: Un estudio etno-histórico de documentos indígenas y del Archivo General de Centroamérica" (PDF). XVIII Simposio de Investigaciones Arqueológicas en Guatemala, 2004 (edited by J.P. Laporte, B. Arroyo and H. Mejía) (in Spanish). Guatemala City, Guatemala: Museo Nacional de Arqueología y Etnología: 1000–1014. Retrieved 2012-02-18.